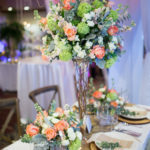 The 11th Annual Richmond Wedding Show, A Wedding Affair will be held on Feb. 24, 2019 at the River Rock Casino Resort. In partnership with Hudsons Bay Richmond and select exhibitors, we will award a Grand Prize valued over $10,000 at the end of the show to 1 lucky bride. The bride must be present to win. One lucky winner will win 7 nights for 2 guests at the all inclusive Barcelo Maya Grand Resort, 4.5 star. 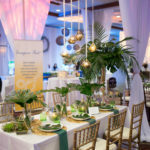 A big thank you to Destination Weddings and Romance By Kiki, Marlin Travel and Barcelo Maya Grand Resort. 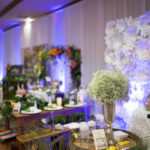 Check out our interactive fashion soiree called Aisle with Style. 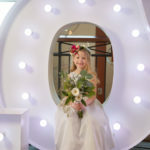 Our team of models will strut through show after a hair and make up makeover from our exhibitors to showcase 2019 trends for brides and grooms. The models will be featuring jewelry, bridal wear and wedding accessories. 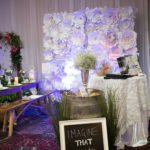 Imagine That Events would like to thank the River Rock Casino Resort for hosting the 11th annual wedding show with us. Please email showinfo@imaginethatevents.ca if you are interested in more information on being a part of our 2018 show.